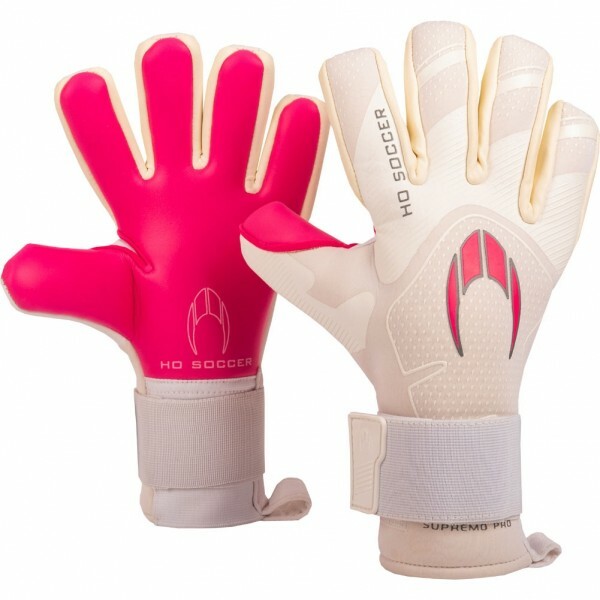 Introducing the new Supreno PRO from HO Soccer. These HO gloves weigh in at only 122 grams (4.30 Ounces *based on size 10) This amazing lightweight glove is made from a soft and comfortable one piece construction for excellent fit and support. The SUPREMO PRO also features an effective punch zone and also has our new long elasticated wrist band with double fastening and velcro adjustment for that secure fit you are looking for. 4mm AQUA FORMULA latex (White) with internal silicone inserts stragically positioned along the palm to increase stability. Lightweight and breathable neoprene backhand in a seamless construction with silicone inserts giving extensive support and punch zone. Offers an amazing close fit to the hand and features our new long elasticated wrist band with double fastening and velcro adjustment for a secure fit. 9cm elastic wristband with an adjustment strap secured with three Velcro fastenings.